Exclusive! An opulent statement ring in pastels! 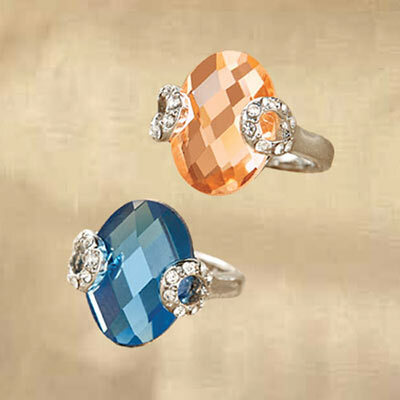 Brilliant, faceted oval gem accented by crystals in a silver-tone setting offers the sparkle you love. Enlarged to show detail. Limited Quantities!